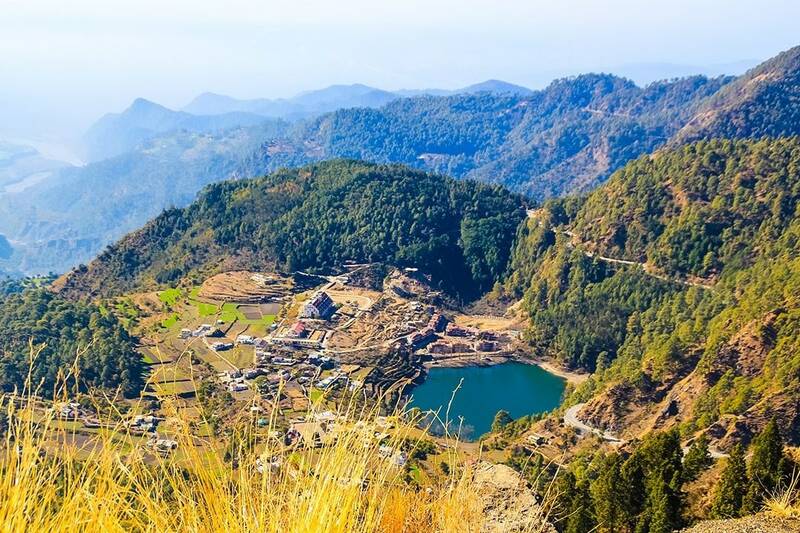 Nestled in Kumaon Hills, Nainital is a hill station occupying a steep forested valley around a unique, eye-shaped Naini Lake. 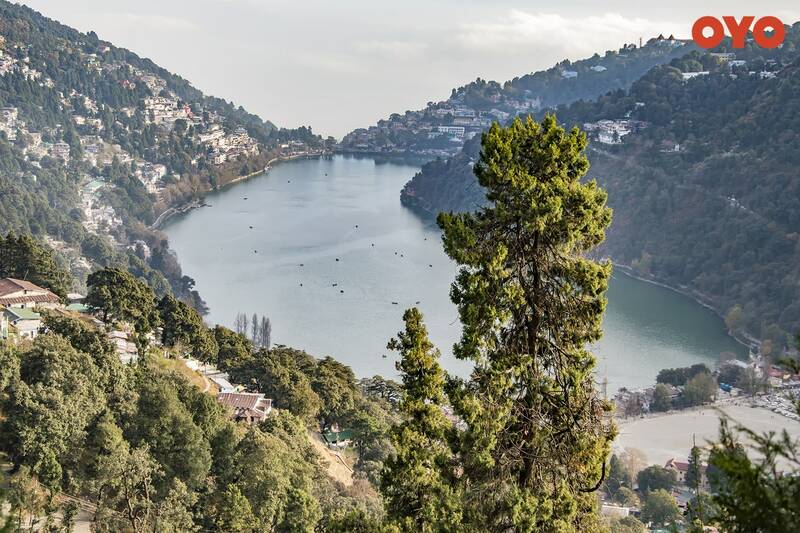 Famously known as the ‘City of Lakes’, Nainital is liberally blessed with natural beauty and exudes a nostalgic charm of the early 19th century. 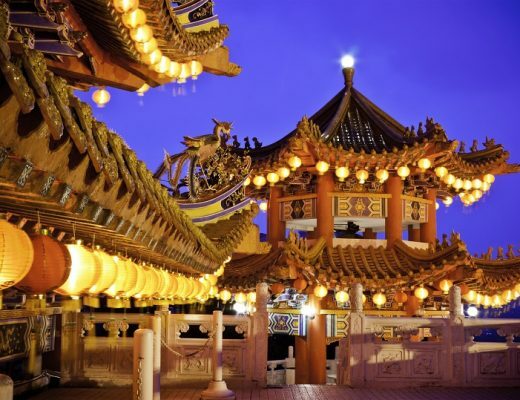 Besides the natural wonders, there are many landmarks, monuments and religious shrines in the city, each reflecting a foreign influence of the colonial era. Nainital’s strategic geographical location makes it a year round destination. 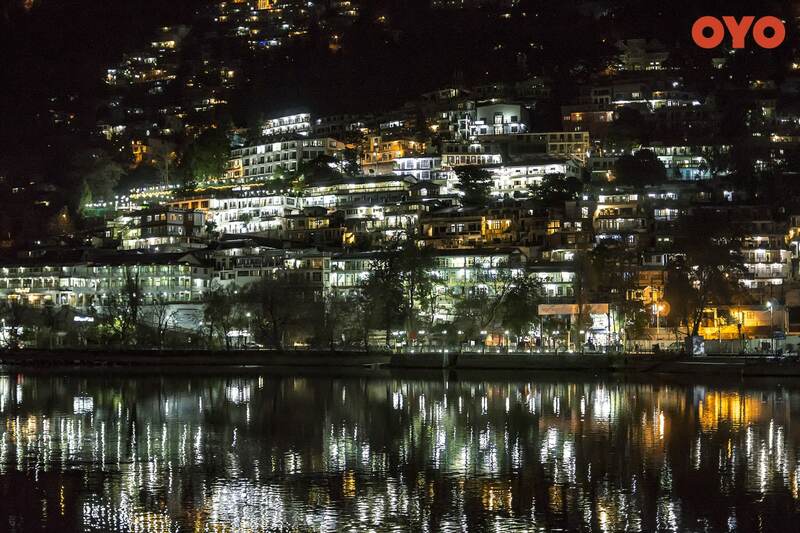 However, the best time to visit Nainital is from October to February for winter lovers as the city experiences snowfall during this period; and March to June for those who enjoy the warmth of the summers. Unlike many other cities, the summers in Nainital are relatively cooler. The month of July records the highest temperature ranging from 17°C to 24°C. January is the coldest month with temperatures dropping to a low of 1.7°C to 11°C. (i) Nainital derives its name from a natural freshwater lake the Naini Lake. Flowing in the heart of the city, the lake is flanked by hills of Kumaon and is a popular tourist spot. You can enjoy row boating and paddle boating at the lake amidst the stunning scenic surroundings. 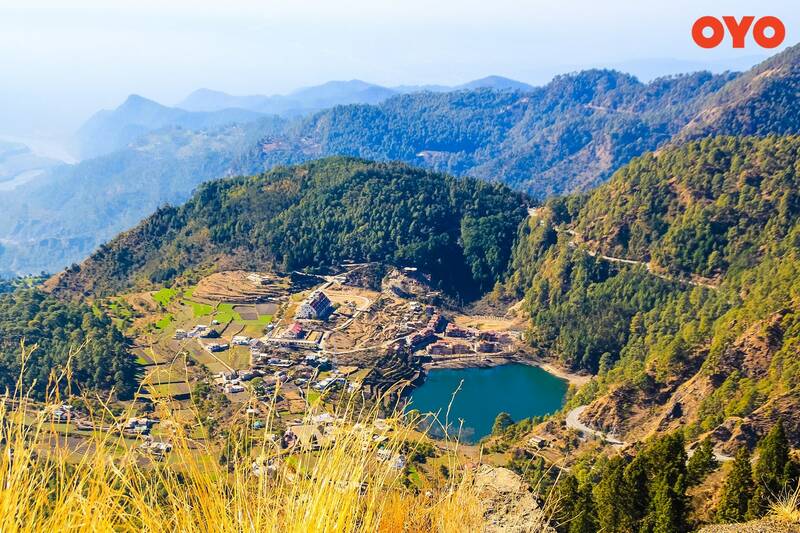 (ii) A 10 minute drive from Nainital leads to the heart-shaped cerulean Sariyatal Lake. It is surrounded by lush green lofty trees that cast their reflection on the lake surface, making it a sight to behold. Along the bank of the lake is the Himalayan Botanic Gardens Complex housing a butterfly park, herbarium and fernery. 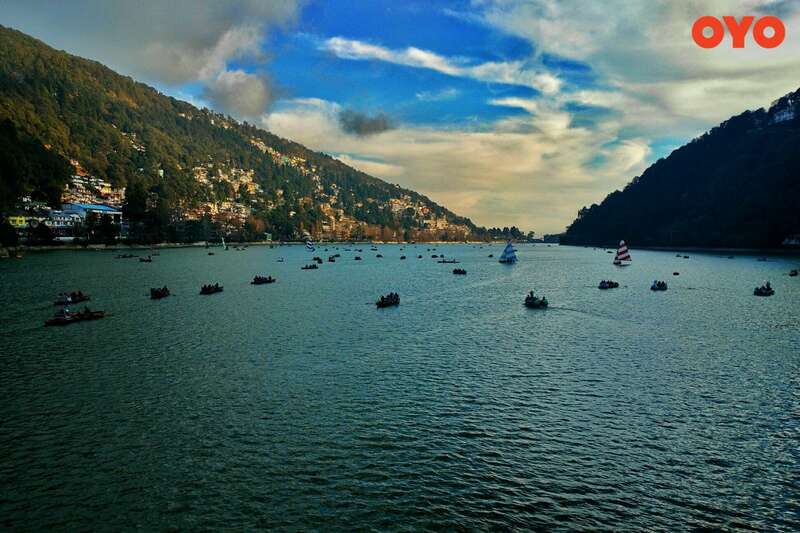 Khurpatal Lake and Bhimtal Lake are other emerald colored lakes in Nainital where you can enjoy a nice picnic, go boating and try out fishing. (i) On the northern shore of Naini Lake is the ancient Naina Devi Temple resting atop a cliff. The temple is dedicated to Goddess Sati and has many mythological legends associated with it, which make it a sight of great religious significance for the Hindus. (ii) Built in 1844, the St. John’s Church in Nainital is one of the oldest churches in the city. 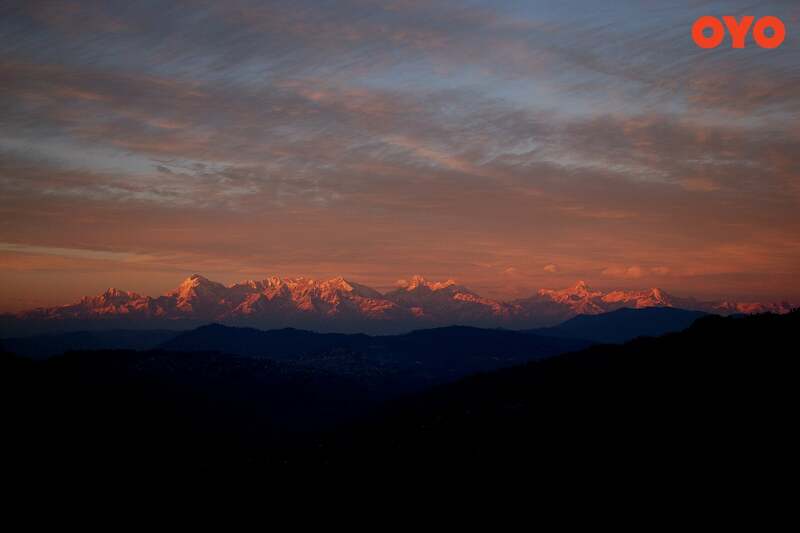 It is located on the northern end of Lake Naini. Apart from its religious significance, the Church’s architecture makes it one of the prime attractions. Right outside the main church building is a memorial that commemorates the victims of the 1880 landslide in Nainital. 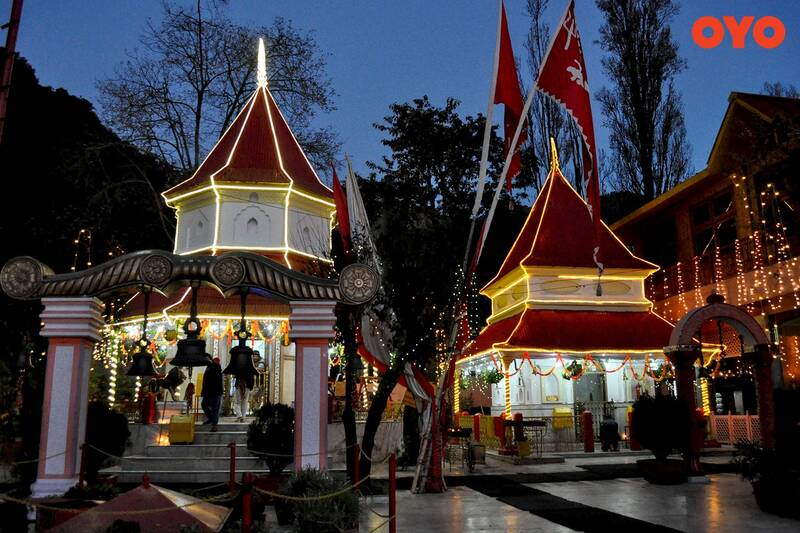 The stone carved Pashan Devi Temple and Hanuman Garhi are other significant sites of worship in Nainital. 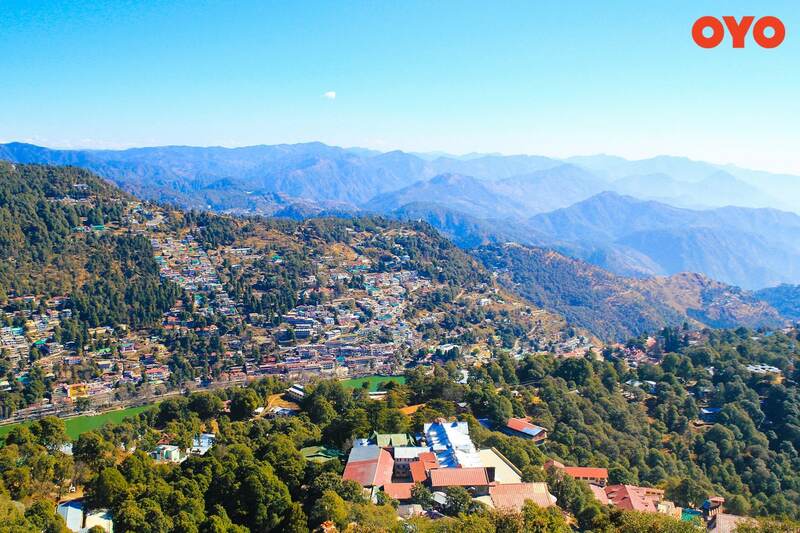 Owing to its scenic landscape, Nainital is blessed with many marvels of nature and view-points that offer spectacular vistas of the city and its surroundings. Tiffin Top, Naina Peak, Snow View Point and Land’s End are the perfect spots in the city to enjoy a nice time in the lap of nature against a stunning backdrop. 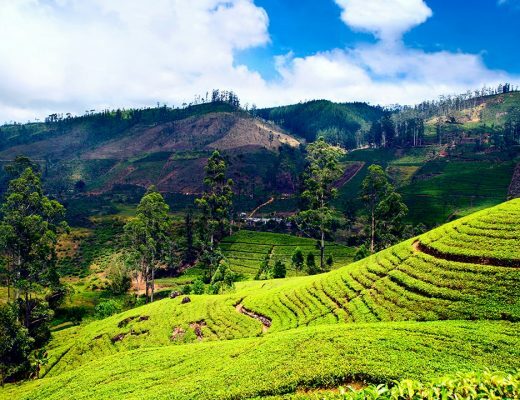 From trekking trails to picnic spots, these natural landmarks are ideal for every traveller and adventure seeker. The quintessential Nainital cuisine has a mix of spices and aromatic herbs. Rice and wheat are an integral part of Nainital cuisine accompanied by different types of chutneys. Some of the most popular dishes of Nainital are Ras, Baadi, Black and White Roti, bhatt ki churkhani. These dishes find their way in the menu of every eating joint, from street stalls to fine dining restaurants. The quaint town of Manali is dotted by many markets. From trinkets and junk jewelry to indigenous fabric; candles to home-made squashes, the markets in Nainital have just about everything. 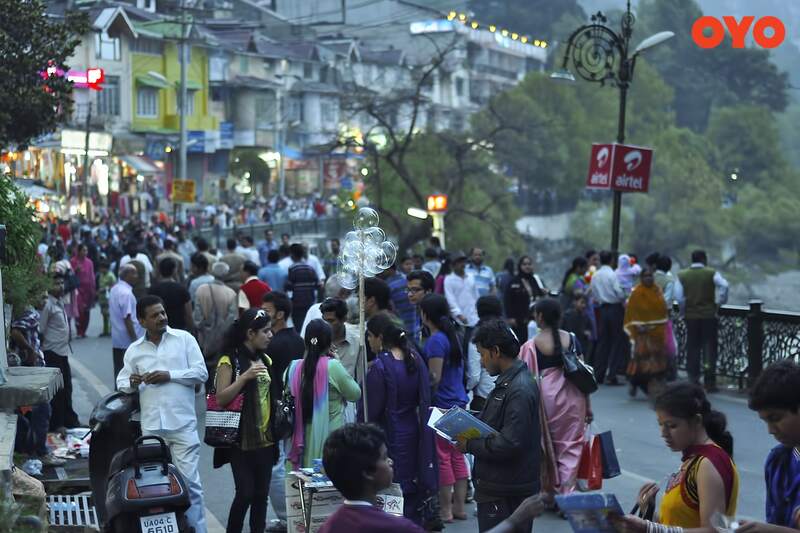 (i) Mall Road: The street market of Mall Road of Nainital is lined with several shops selling textiles, handicrafts and junk jewelry. Many restaurants and eating stalls are also located on the Mall Road to ease the hunger pangs after an exhausting shopping day. Timings: 11:30 a.m. to 8:30 p.m.
(ii) Bada Bazaar: This is one of the oldest markets in Nainital, and is a major landmark of the town. The shops in the market offer a wide array of products- handmade aromatic candles and wooden showpieces are the main highlight of the market. Apart from these, traditionally woven clothes and home- made jams and squashes are also sold in Bada Bazaar. (iii) Tibetan Market: This flea market on the banks of Naini Lake is popular among tourists. Run by Tibetan refugees, the market and its goods offer a glimpse of the Tibetan heritage and culture. Scarves, Tibetan hand bags, Tibetan trinkets, junk jewelry and accessories are sold at an affordable price here. Timings: 9:30 a.m. to 9 p.m. 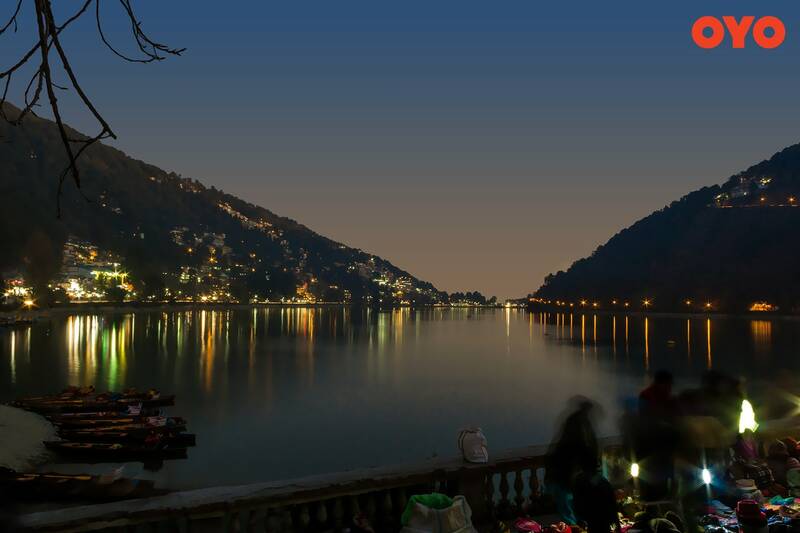 Retaining its traditions of the bygone era, Nainital exudes simplicity and warmth. The locals keep alive the traditional rituals from centuries ago which is reflected in its vibrant festivals and fairs. The town’s folk art and dance forms are a testimony to its rich heritage and culture. Enjoy a tranquil break in the City of Lakes. OYO, the well-known range of budget hotels in India is pleased to announce an unbelievable up to 50% off this season. This offer is valid from 15 Nov, 2018 to 10 Jan, 2019. 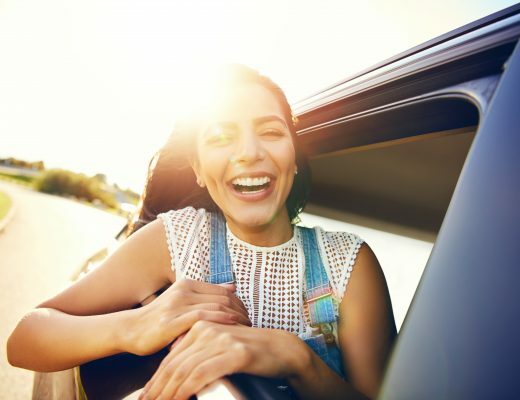 If you have been postponing your travel for a long time, largely because of the exorbitant rates charged by the hotels during peak seasons, we have good news for you. Choose OYO Rooms at half the price and also get cash back of up to Rs. 250, if you pay through PayTM. Let the travel begin with OYO this season and make it memorable. Summer, Monsoon or Winter Tour in Nainital? 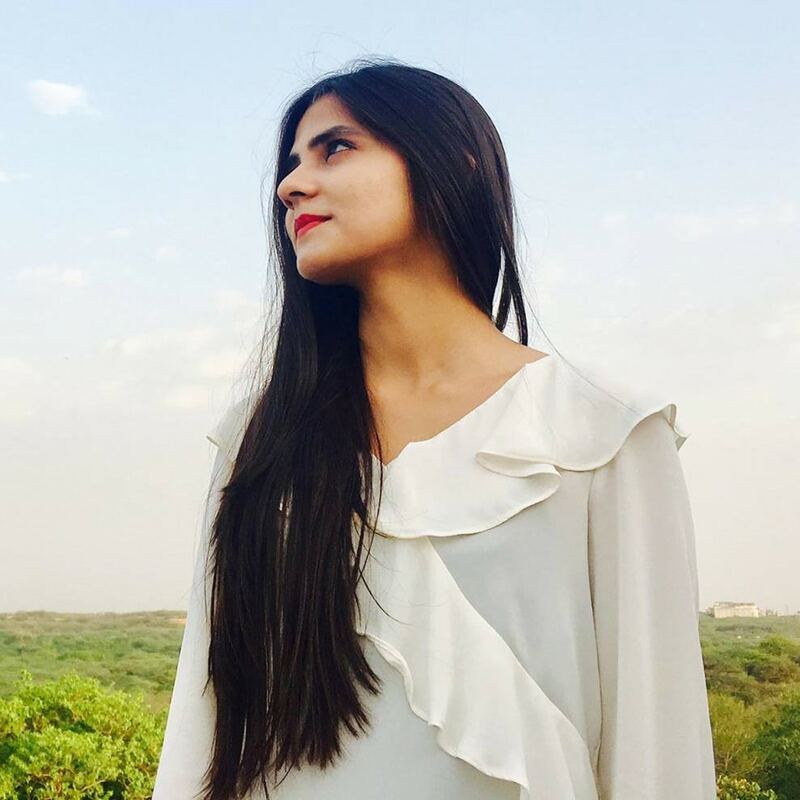 A journalist by education, a writer by passion and a film buff by night. When I am not offering an insight into the many treasure troves of your favorite travel destinations, I like to get my dose of Truffaut and Resnais. You can catch me in quaint cafes finishing my latest book or transforming every thing that happens in a moment into ink. Trying to ‘find’ yourself on holiday? Maybe you’re looking in the wrong place.